A discreet case, an exceptional value! Get your gear for the range stored and ready to go in this tactical gun case. 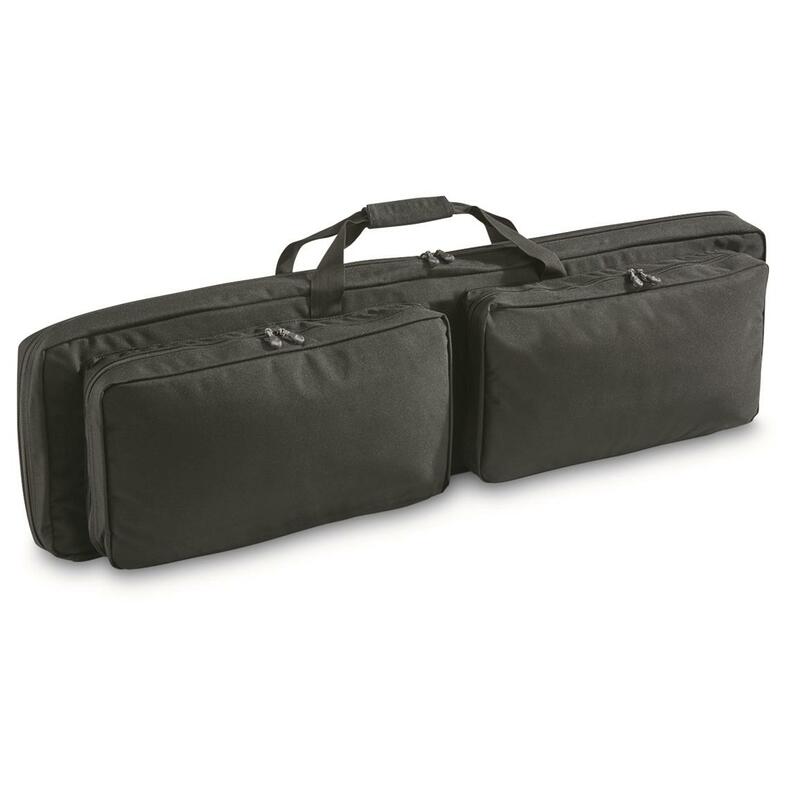 This 46" Discreet Gun Case holds your favorite rifle, handgun - or both! - thanks to the adjustable, removable interior straps and stock holder panels. Two outer pockets with MOLLE compatible panels inside let you stock up with the extra supplies you need for a day at the range or in the field. Sling it over both shoulders for easy carrying using the hide-away backpack-style shoulder straps with sternum strap.